Launched last month, the EVE pump has the benefit of a flat line flow curve, thanks to its variable speed, brushless motor, which is able to maintain pressure as and when demand increases, and allows for several outlets to open. Additionally, the control panel on the face of the pump allows for customers to change the bar rating between 1.5, 2.0, and 3.0 bar at the touch of a button, even after installation. As the highest value pump across all of Salamander’s ranges, EVE also has the benefit of working in both positive and negative head gravity-fed installations. Combined with its variable pressure adjustment, this makes the specification process much easier for installers, says the company. The launch follows the re-engineering of Salamander’s Right Pump range, with EVE featuring the latest technology. The pump has four granted patents; on its bypass, integrated electronics, motor pump integration, and Electronic System Protection (ESP). 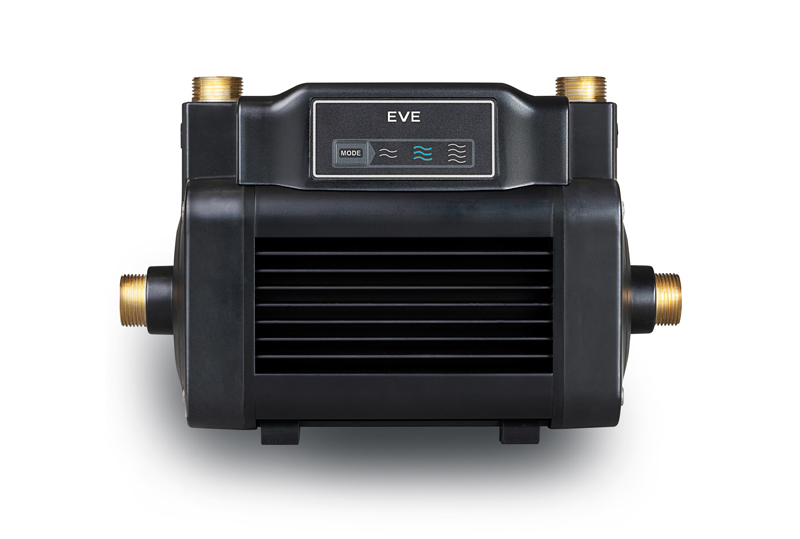 As well as this, EVE has robust brass connections, which enhance the strength, rigidity and reliability of the pump.